Full Vehicle Details – Want your vehicle professionally cleaned or prep it for sale to get the most money for it? Our detail experts will make yours Car, Truck or SUV look like new. Headlight Restoration – Before you replace your headlights let us take a look at them. We can make most look brand new again. 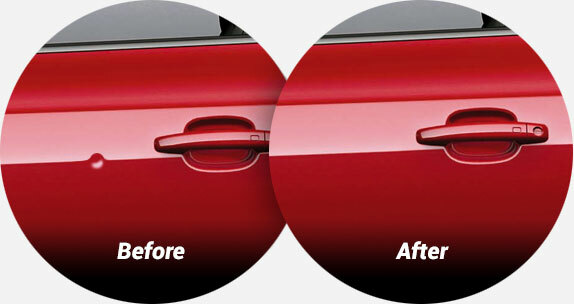 Paintless Dent Removal – Let our experts repair that door dent without body fill or paint work. Hail Damage – With our without insurance we will give you the best options. Alignments – Both 2 or 4 wheel alignments. Call us today about getting your appointment scheduled. We service all of Northern Virginia with locations just minutes from Woodbridge, Quantico, Dumfries and Triangle and King George VA. Automotive Cosmetic Damage Repairs can drive people nuts. Just seeing the damage everyday in most cases on a vehicle that you are still making payments can be repaired for less than people think. Our processes is to offer you the best options possible so your vehicle can look its best while saving money also. If a shopping cart hits your car or maybe someone scrapes the side of your vehicle sometimes all it takes is simply buffing the area to make it almost unnoticeable. At Radley Collision Center we do not charge for estimates and in the event you need to use insurance we will help guide you through the process. We work with almost any insurance company if needed. If you have Cosmetic Damage that needs repair or you simply want to have a paint protective wax added it is our promise to offer you exceptional service. Have a door dent or ding in your car, truck or SUV? We can help! Using the latest methods in paintless dent repair at Radley Collision Center we can cost effectively fix visible damage at either of our 2 locations. With locations in Stafford and Fredericksburg Virginia dents and dings removal has never been easier. Please click here to schedule an appointment for a no cost quote. 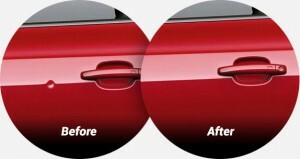 What is paintless dent repair? Using specialized tools and processes it’s possible now reshape and remove dents in the body, doors, hood, trunk and quarter panels of your vehicle. The best part is the process rarely requires paint work and in most cases will completely remove the all damage. Stop getting upset every time you see the dent and dings and let us cost effectively remove them.